In 1994, a team of scientists led by Jean-Marie Chauvet discovered a cave in the South of France. 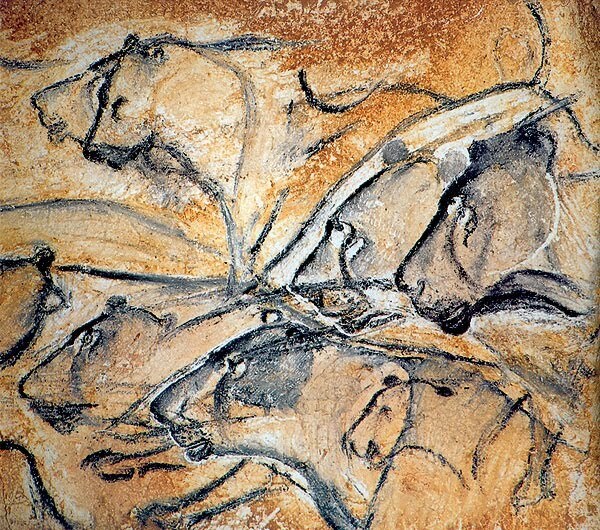 Contained within the cave, which now bares Chauvet's name, were hundreds of cave paintings dating from 30,000-40,000 years ago, almost twice as old as any previously known drawings. Since the cave had been sealed off for millennia by a rock slide, the paintings were perfectly preserved, and entry to the cave was restricted to ensure that they stayed that way. Legendary film-maker Werner Herzog was granted a special dispensation to spend time in the cave, both with the scientists who have spend years mapping and cataloguing it, and alone with his crew in order to create a film documenting the interior of the cave. There is a hushed reverence to Cave of Forgotten Dreams that is completely appropriate given the unique opportunity Herzog and his small crew were given, even if it came with a few strict but understandable caveats - they were limited to filming for only four hours a day and could only walk on specially placed walkways, which at one points means that in order to get a shot of a painting on the back of a stalactite, they have to place one of their cameras on a stick and waggle it close enough. Seeing the interior of the cave, knowing that both Herzog and the audience are getting to see something that only a handful of people have or ever will see, is pretty awe-inspiring before we even get to see the paintings themselves. That reverence permeates every aspect of the film, right down to the timbre and tone of Herzog's hypnotic narration, which is hushed like a pilgrim whispering in a holy place. Stepping into the cave, which is sparsely lit by the low-wattage lights the crew and scientists carry around with them, is like stepping into another world. It's an eldritch realm of ghosts and spectres. Herzog takes great pains to point out just how much time has passed since the cave was last occupied, focusing on the skulls and bones of long-extinct species of bears and hyenas strewn about the cave, particularly one skull which has become the base of a stalagmite. It makes for a startling contrast with the paintings, which were so well-preserved by the cave that they look as if they could have been painted yesterday. They are also startlingly detailed, often capturing seemingly minor details such as the scrotum of one lion to indicate that it is the male in a situation, and there is a rich beauty to the way that light plays over the paintings, giving them the illusion of life. These are the paintings that most fascinate Herzog, particularly the way in which some animals have eight legs, which give a sense of movement when combined with light. In one of the film's most inspired moments, Herzog uses footage of Fred Astaire dancing with his shadow to make a clear link between cinema and these paintings, which he considers to be a kind of proto-cinema. Understandably, it is the paintings that Herzog focuses on, though he is perhaps more interested in what they represent than what they depict. As he did with Grizzly Man, Herzog uses a very specific situation to comment on more universal concerns; for Herzog, the paintings represent the birth of the human soul and are proof of humanity's natural ability for storytelling. The film captures a real sense of wonder and a thirst for knowledge. Who were these Paleolithic paintings? Why did they paint? Was there some religious significance to their drawings, or was it just for the joy of expression? Herzog asks these questions because they are fascinating, but he also knows that we can never answer them, but we can look on them and see something of our own desire to create. It's a heady experience, but also a curiously unsatisfying one. Whilst the film has dozens of moments that are bold, beguiling and transcendent, there does not seem to be a strong thread connecting them. Herzog's thesis is interesting, but he tries too hard to make the paintings fit his theory rather than the other way around, a problem which is underlined by a curious postscript involving mutant albino crocodiles. The cave itself is endlessly fascinating, and Herzog's musings are intelligent and provocative, yet the moments when they mesh comfortably are few and far between, which deprives the film of the consistency and focus that could have made it a great film, rather than a merely very good one.